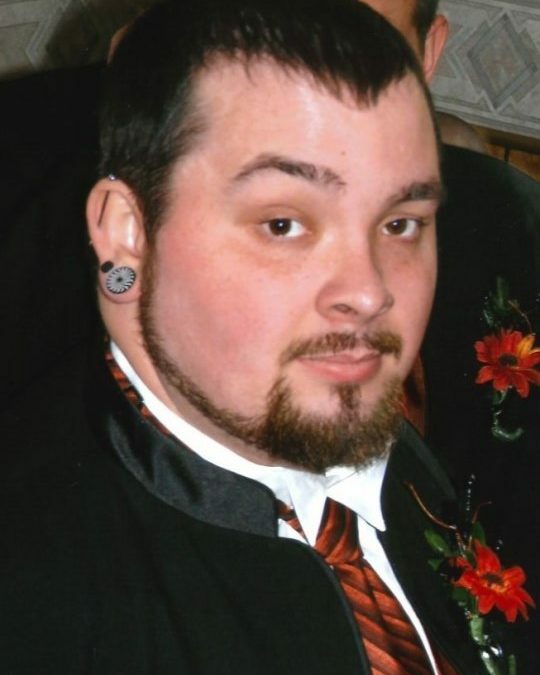 Jason Glenn Phelps, age 31, of Somerset, passed away unexpectedly on Thursday, January 25, 2018 at his residence. He was born on November 2, 1986 in Somerset, Kentucky, Son of James Glenn Phelps and Sheila Gail Calhoun Phillips. Jason was a graduate of Ross High School in Hamilton, Ohio. He was employed as a Welding II Specialist with TTAI Manufacturing Company in Somerset for the past 13 years. Jason was an accomplished artist, gamer and enjoyed Comic Books, “HeiroClix”, and basically anything “Sci-Fi”, He was a kind, good hearted and generous person who loved spending time with his family, especially his nieces and nephews. Perhaps his greatest joy was cooking and trying new recipes. The absence of his radiant smile and gallant spirit creates a void in the lives of those he knew. He leaves behind to cherish his memories his Parents; Sheila Calhoun (Dwight) Phillips of Somerset and James (Diane) Phelps of Hamilton, Ohio, Brothers; Jeffrey Kyle Phelps (Amanda Green) of Hamilton, Ohio, John Christopher Phelps of Somerset a Sister; Jamie Wilson (Jordon Lewis) of Somerset, Step-Brothers Jeff (Jalinda) King of Ohio, and Jason King of Indiana, Step Sister; Jenny (Jason) Chasteen of Hamilton, Ohio, Nieces; Scarlett Ann Phelps, Alyssa Phelps, Oktober Star Phelps, Nephews; Kori Jo Phelps, Dillan Hall, Devan Hall, Lucas Phelps and John Phelps, Jr., Maternal Uncle; Curtis (Sheila) Calhoun of London, Maternal Aunts; Theresa (Rob) Willis of Greenfield, Indiana and Vicky Taylor of Somerset, Paternal Uncles; Johnny (Grace) Phelps of Colorado, Steve (Georgia) Phelps and Tommy Phelps of Somerset, Paternal Aunts; Anita (Greg) Riley of Bronston, Patty Albright of Woodstock, Step-Grandparents; Ervin and Paulette Phillips of Somerset, Step-Uncle; Roger and Becky Phillips, Step-Aunt; Kim (Darrell) Davenport all of Somerset, A very special Sister-N-Law Phylicia Phelps and Best Friend, that was like a Brother; Dewey Gross along with several cousins, step-cousins and a host of other relatives and friends. He will be greatly missed by all who knew and loved him. Visitation was from 6:00 p.m. until 9:00 p.m. on Sunday, January 28, 2018 in the Chapel of Southern Oaks Funeral Home, the Funeral Services was on Monday, January 29, 2018 at 1:00 p.m. in the Funeral Home Chapel with Bro. Raymond Ridner officiating. Interment was in the Ringgold Cemetery in the Ringgold Community. The Pallbearers were Dillan Hall, Dewey Gross, Devan Hall, Jordan Lewis, Mitchell Calhoun, Brandon Willis, Robbie Willis and Josh Phillips. Jimmy and Diane sorry for your loss and are prayers are with you and all of the family during this time. I hope you all find the courage to know that he has been welcomed by our family members that have passed into Gods kingdom. As we mourn here on earth ,are family members who passed that are now in gods kingdom, are rejoicing at his arrival knowing one day we will all be reunited.Love you and miss you all.